Breaking into the modeling industry is tough. And these days, it seems to be all about who your parents are and who you know. As such, more celebrity children are becoming models than ever before. And this is the case with Jude Law and Sadie Frost’s daughter, Iris Law, who also so happens to be Kate Moss’s god child. 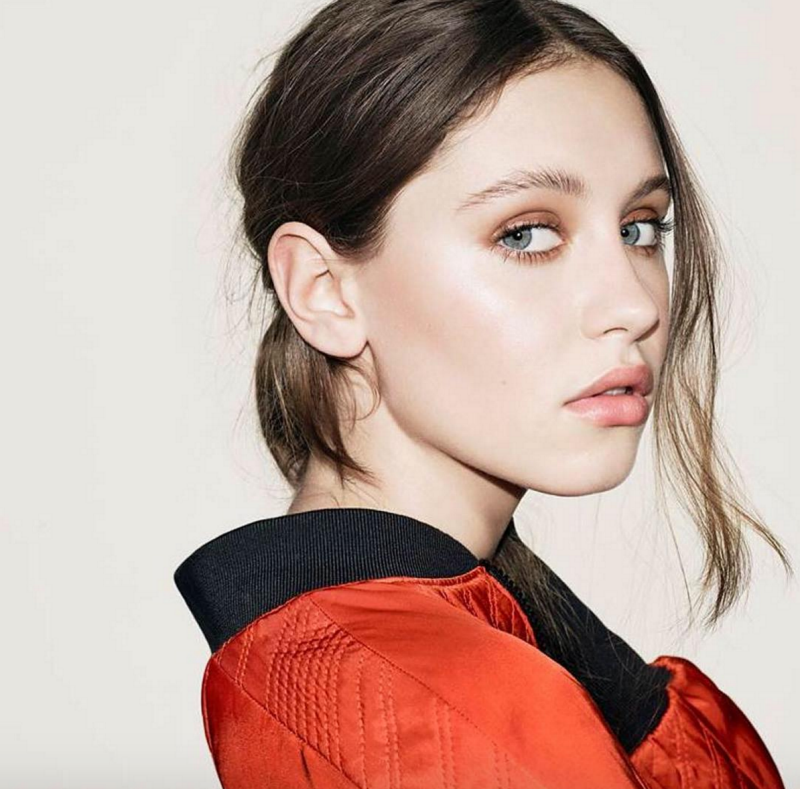 The stunning 16 year old may not yet be a household name, but with long brown hair and piercing blue eyes, it is sure to be just a matter of time before she is known worldwide. She got started modeling about a year ago doing a campaign for Illustrated People and has also done shoots with magazines, such as Teen Vogue. She just recently signed a contract with Chanel, which should gain her huge recognition in the modeling world. Her exact stats are not known but she is believed to be average height, with a slender build and an average B cup. She is a gorgeous young lady who has a gothic-like look and feel to her. That is why she is our Woman Crush Wednesday this week.